President Muhammadu Buhari has joined all members of the All Progressives Congress (APC) in felicitating with the chairman, Comrade Adams Oshiomhole on his 67th birthday, congratulating him for providing purposeful, courageous and tenacious leadership. 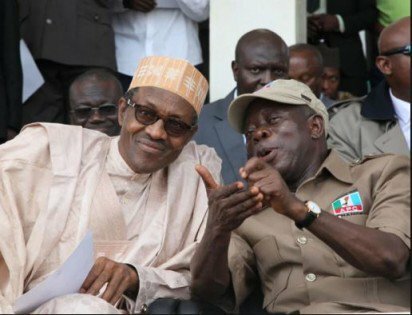 President Buhari affirmed that Oshiomhole, after many years of serving as a labour leader, brought a new dynamism into the collective effort to make democracy and development more inclusive in the country, recognizing his vibrant relationship with Nigerian workers and ordinary people. The President believes the strides recorded in the last elections across the country clearly testify to Oshiomhole’s visionary and vibrant leadership, as chairman of the APC. The President prayed for longer life, good health, and wisdom for Oshiomhole to enable him to serve the country and its citizens.